The development of content publishing applications like the WordPress CMS platform has truly simplified web design and web development for anyone wanting a website. This is a great thing for business owners that want to own a website that is simple and easy to manage. Prior to “blogging” and the development of powerful and simple CMS software, if you needed a business web site, you typically would have to wait until both the web development and website design processes were fully completed. This process could mean waiting for many weeks, even months! WordPress themes changed all this. 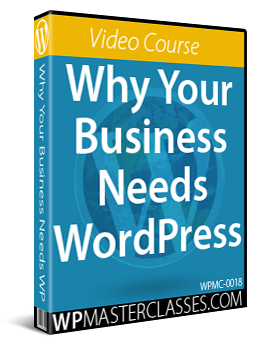 In this article, you will learn what WP themes are, how WordPress themes help you and your business save money, and how themes let you easily customize your WordPress site. More businesses today will benefit from a great change in website design that began shortly after websites were first introduced. If you are a small business owner, you may want to know about this, because it could save your business a lot of time and money on website development and web design costs. First, you would discuss your requirements with a website development company or designer. After this, the ”look and feel” of the web site itself had to be decided upon. This required time and money being spent with someone with web design skills going over design elements of your website like the, colors, styles, visual elements, content, etc. Every page of your website then had to be individually created with all the elements and codes inserted into your content. All of the pages were then assembled into a web site using links and custom coded navigation menus and uploaded to your server, together with all other files required to make your site work – script libraries, images, media, etc. Only after everything passed testing and performed how it was intended to (and looking how the client had imagined it to look), was the site considered to have been completed and ready for delivery. As more web site development firms started choosing “template-based” web design services, templates started being developed that provided clients with a number of customizable features, such as color palettes, the ability to pick different styles and styles, and so on. As websites and web building software evolved, website templates also began transforming into website templating ”systems”, enabling users to manage their website’s design aspects. WordPress themes drive web templating systems further. 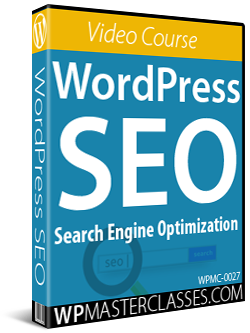 The WordPress theme system controls and integrates every aspect of your web site design. It allows you to add a “skin” over your entire site similarly to what a web template system does but it provides you with more control over the management and customization aspects of the site’s template options. As stated in the quote above, a unique feature of WordPress is that how your web site displays to visitors is controlled independently of how your website is configured internally to handle areas like content management and functionality. In simple terms, what this means is that a theme lets you modify the appearance of your site as often as you want without affecting your website’s content and all the functionality you’ve built into it. For example, if you have set up your site for e-commerce, replacing the theme won’t affect the content or the functionality of the web site. All e-commerce features, site settings and product information will remain intact, but your site will look completely different. Because when your site is powered with WordPress, you no longer need to spend weeks or months waiting for your web design to be completed. 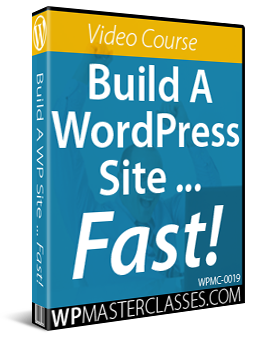 You can get your business website built quickly and start with any WordPress theme you like, and completely modify the look, feel and design of your website in a few seconds, whenever you choose … and as many times as you like! Since WordPress is open source software, thousands of website designers can design themes specifically for the WordPress CMS platform using the WordPress template system. 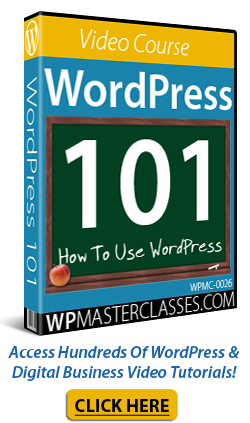 This means that thousands of high quality WP themes are made available to WordPress users. Themes are generally distributed freely under the terms of the GNU License Definition, or sold as Premium (paid) WP themes. As WordPress becomes more popular, more designers are now focusing on creating themes for a wider range of applications. WordPress themes range from simple-looking, to designs that are visually spectacular and could normally cost thousands of dollars to create. Surprisingly, most premium themes can be purchased quite cheaply, especially when compared to what you would have been charged if a website designer had to create it from scratch. Themes are quite easy to install on your site. 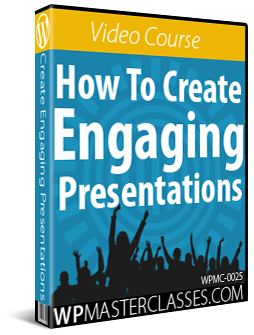 Just upload it to your Plugins folder via your WP dashboard and activate. Even easier still, you can install any of the themes listed in the themes repository at WordPress.org) directly from your WP dashboard. 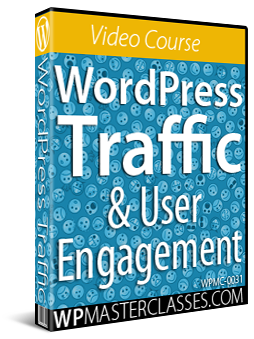 WordPress has a thriving community of commercial web designers who contribute thousands of high quality WordPress Themes available to WP users. Thousands of these themes are completely free to use! A “theme” works independently of your site’s content. This means you can swap themes as often as you need without deleting your blog’s underlying data. Many themes come with additional built-in functionality and options that let you easily customize the site’s style and design elements and create a unique look to suit your preferences. WordPress lets you search, import, install and update WordPress Themes automatically directly from your site’s administration interface. Themes lets you save hundreds of dollars on website design costs. Free themes cost nothing and most “Premium”themes are typically very affordable. Many WordPress theme designers are now creating “responsive” themes for WordPress. A responsive theme is also optimized for different platforms. Users can navigate, read and display a site on all devices without having to readjust their browser settings, or requiring website owners to install additional themes. Note: When downloading WordPress themes, we recommend choosing a responsive WordPress theme. Not only will the theme ensure that your website displays well on all devices, it also means that the theme is newer than most non-responsive themes and therefore complies with the latest standards of website design and web coding. Hopefully, this basic overview has given you a clearer understanding of themes, what themes are, how they can help you save money on web design costs, and how themes make customizing web sites easy. In our next article in the article WP beginners on basic WP features, we show you where to search for great themes for your blog.